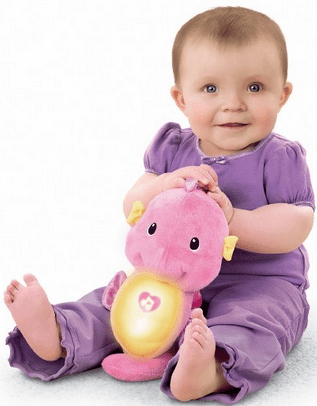 Currently you can grab the Fisher-Price Ocean Wonders Soothe and Glow Seahorse, Pink on Amazon for just $9.14! Shipping is free for Prime members or with a qualifying $35 order. The Seahorse retails for $16.99 and I’m not sure how long this low price will last. The reviews are great and this would make an excellent Christmas or baby shower gift. Amazon: Victorinox Swiss Army 8-Inch Chef’s Knife just $22.70 Shipped!... Ebates: Double Cash Back on Online Shopping + $10 Gift Card!